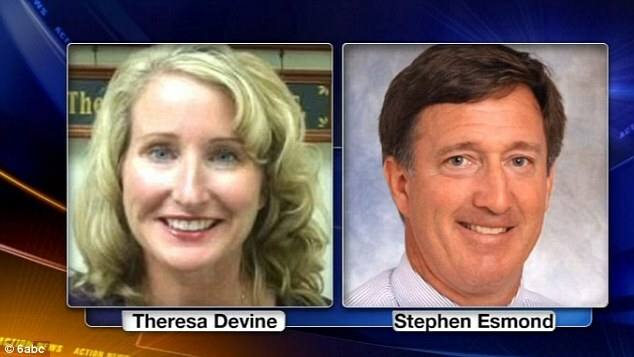 WASHINGTON — Terminix will pay $10 million for using an illegal pesticide in the U.S. Virgin Islands that almost killed a family last year, federal officials said. The family of four from Delaware was vacationing on St. John at the Sirenusa Resort when they all became seriously ill after the living unit one floor below them was fumigated. Two teenage boys sustained permanent neurological damage and the parents had seizures; the father still has difficulty speaking and is barely able to use his hands. “Terminix companies knowingly failed to properly manage their pest control operations in the U.S. Virgin Islands, allowing pesticides containing methyl bromide to be applied illegally and exposing a family of four to profoundly debilitating injuries,” U.S. Assistant Attorney General John C. Cruden said in a statement. The Justice Department said the company agreed to the fine and has stopped using the pesticide in the United States and its territories. “Tragically, the defendants’ failure to [obey environmental laws] resulted in catastrophic injuries to the victims and exposed many others to similar harm,” Virgin Islands U.S. Attorney Ronald Sharpe said. The company will pay $8 million in criminal fines, $1 million in restitution and $1 million for community service projects, the Justice Department said. The company is also working to resolve the family’s medical expenses in a separate civil process. The Justice Department said the criminal investigation is continuing. The pest control corporation Terminix International Company LP (TERMINIX LP) and its U.S. Virgin Islands operation Terminix International USVI LLC(TERMINIX, USVI), were charged today with multiple violations of the Federal Insecticide, Fungicide and Rodenticide Act for illegally applying fumigants containing methyl bromide in multiple residential locations in the U.S. Virgin Islands, including the condominium resort complex in St. John where a family of four fell seriously ill last year after the unit below them was fumigated, the Department of Justice and the Environmental Protection Agency (EPA) announced today. Islands today, the defendants knowingly applied restricted-use fumigants at the Sirenusa resort in St. John for the purpose of exterminating household pests on or about Oct. 20, 2014, and on or about March 18, 2015. The companies were also charged with applying the restricted-use pesticide in 12 residential units in St. Croix and one additional unit in St. Thomas between September 2012 and February 2015. The case was investigated by EPA Criminal Investigation Division working worked cooperatively with the Virgins Islands government and, the Agency for Toxic Substances and Disease Registry. Environmental Crimes Section, and Assistant U.S. Attorney Kim L. Chisholm of the District of the Virgin Islands are prosecuting the case with assistance of Patricia Hick, EPA Region II Regional Criminal Enforcement Counsel.